One night over 10 years ago, I was telling a friend about my stomach problems at dinner and he said that he was seeing an acupuncturist for help with his crone's disease which is another digestive ailment. He was having some success with the treatment so I made an appointment with her. After a few sessions, she told me that I should try a gluten-free diet (no wheat flour based food products). I didn't know much about the diet but quickly found out it was going to be a difficult adjustment because I loved bread, pizza and pasta having grown up working at my parent's Italian restaurant. I was also seeing a nutritionist who was helping to strengthen my digestive process with probiotics and other vitamins. After several months on the diet and continuing my acupuncture treatments, my stomach was feeling better and I lost 15-20 lbs. I stopped drinking most alcoholic beverages as well. However, at this time, there were no mainstream grocery stores carrying any gluten-free products and restaurants had no idea what gluten-free meant. So, the challenges of eating a gluten-free diet made it difficult for me to continue the diet and I stopped. However, a few years later, I started to notice that gluten-free items were becoming more popular and available. So I decided to try it again and at the same time quit drinking all alcoholic beverages completely. I was successful this time and felt amazingly better both physically and mentally. My energy levels were extremely high and I required much less sleep. I now rarely get sick even when the rest of my family is ill. I also was starting to eat more natural and organic foods and about a year later decided to try becoming a vegetarian. As a consultant, I worked with many people from India who were vegetarian and have learned much about their diet though out the years. I had always wanted to try it but felt it would be too difficult and was concerned about how I would get enough protein. So, I did some research and read several very helpful books. I found that Buddhists and Hindus are not the only ones who have promoted vegetarianism, or understood that peace on earth starts with peace in our hearts. Great thinkers of all times have shared this view and have become vegetarians. A few examples are: Pythagoras, Socrates, Plato, Clement of Alexandria, Plutarch, King Asoka, Leonardo da Vinci, Montaigne, Akbar, John Milton, Sir Isaac Newton, Emanuel Swedenbourg, Voltaire, Benjamin Franklin, Jean Jacques Rousear, Lamartine, Percy B. Shelley, Ralph Waldo Emerson, Henry David Thoreau, Leo Tolstoy, George Bernard Shaw, Albert Schweitzer, and Albert Einstein. Medical studies have shown that a vegetarian diet is easier to digest, provides a wider range of nutrients and imposes fewer burdens and impurities on the body. Vegetarians are less susceptible to all the major diseases that afflict contemporary humanity, and thus live longer, healthier, more productive lives. They have fewer physical complaints, less frequent visits to the doctor, fewer dental problems and smaller medical bills. "Omnivore" doesn't mean 50% plants and 50% animals. Many consider chimpanzees to be omnivores but 95-99% of their diet is plants, and most of the rest isn't meat. They eat termites. Saying we're omnivores because we're capable of eating meat is just silly. We're capable of eating cardboard, too. Our so-called "canine teeth" are "canine" in name only. Other plant-eaters (like gorillas, horses, and hippos) have "canines", and chimps, who are almost exclusively vegan, have massive canines compared to ours. Among animals, plant-eaters have the longest lifespans, and humans are certainly in that category. We sleep about the same amount of time as other herbivores, and less than carnivores and true omnivores. Comparing the gastrointestinal tract of humans to that of carnivores, herbivores and omnivores we must conclude that humankind's GI tract is designed for a purely plant-food diet. 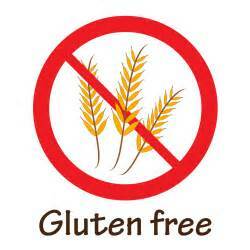 Back to the Gluten Free discussion...It was very challenging in the beginning as there were few grocery stores, restaurants or recipes out there that carried anything gluten-free. Try to combine that with being vegetarian and you were almost at zero options. It has been a very challenging journey that not even my wife would help me out much with in the beginning because of her disbelief in gluten intolerance and the fact that she was cooking for 3 growing boys as well. All of my relatives including parents, brothers and sisters, in-laws were also very unsupportive at family gatherings, holidays and events. I am still pretty much on my own for big holidays but don't get upset anymore with their lack of thought or care for my situation. God has taken care of me and through the graces of time, the increase of GF intolerance awareness and the internet, I have found many different recipes and items that are healthy and gluten free. I was lucky enough to live in an area where there is a 100% gluten free bakery that creates high end treats and some of the best GF bread around from scratch. In addition, there is a ton of GF stuff out there now but you have to be careful because some of it is still very bad for you. Take for instance, Amy's Gluten Free products. While appearing to be healthy and GF, this line of products is loaded with 1000's of mg of salt. One of my favorites was their GF spinach pizza which is very small and can be easily eaten by an adult or teenager but has over 1700mg of salt. (Rec daily allowance is 1500-2300 mg max). Took me a couple of tries to realize why I was so dehydrated in the middle of the night after eating that pizza. My favorite restaurant for a while was Chipotle but after McDonalds bought it and changed all their recipes to be loaded with salt, I no longer had a safe haven while on the road. One vegetarian burrito bowl with rice, black beans, veges, corn, tomato salsa, sour cream, cheese, guac and lettuce has 2180mg of salt. If you add chips and guac, its at almost 3000 mg (https://www.chipotle.com/nutrition-calculator). My reason for posting this on my blog was that today on Facebook, a friend shared a post that included something about how all this Gluten Free crap is a fad and that we've been eating wheat for 5000 years so where is all this gluten free intolerance stuff coming from out of nowhere. This is not the first time I have seen or heard this comment so finally wanted to share my thoughts on it. https://s3.amazonaws.com/media.fooddemocracynow.org/images/FDN_Glyphosate_FoodTesting_Report_p2016.pdf - Food Democracy Now -- Research report called -- Glyphosate "Not Safe on Any Plate"